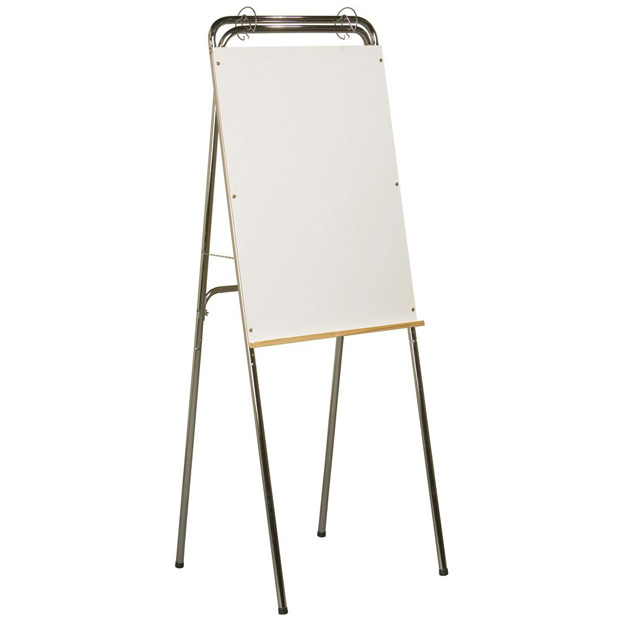 * The Ideal Easel adds a stylish element to any boardroom, meeting room, or classroom. * Easel can be used either on the tabletop (at 42" high) or on the fioor (at 72" high). 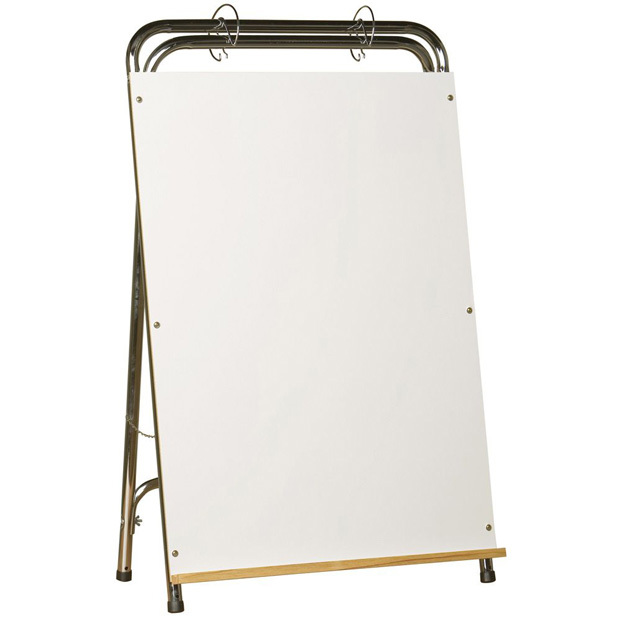 * Dry erase writing surface measures 35.5"H x 26"W.
* Wooden accessory tray is included, along with flip chart rings. * Folds for compact storage. 40" x 25" x 5"